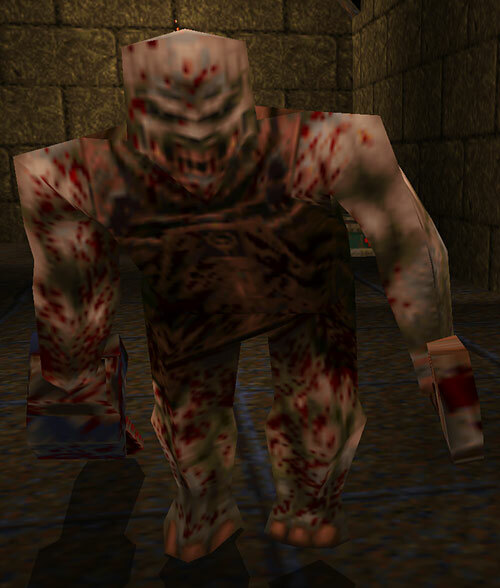 This is a monster from the landmark Quake video game in 1996. 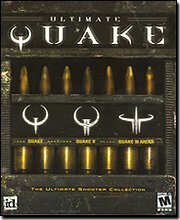 For more context, see our Quake Player Character profile. These lobotomized thugs have adequate skill with their weaponry. They have been implanted with techno-mystical probes. These trigger a constant state of rage relieved only by a spasm of ecstasy whenever they kill an enemy. This process is irreversible and PCs should not lose Hero Points for putting these unfortunates out of their misery. These primitive warriors are former humans captured during Shub-Niggurath’s previous brief forays into the Earth Dimension in times past. Consequently, they are found just inside the gateways, on the outskirts of Shub-Niggurath’s domain. There are plenty of Ogres, though they are mostly found alone or occasionally in pairs. 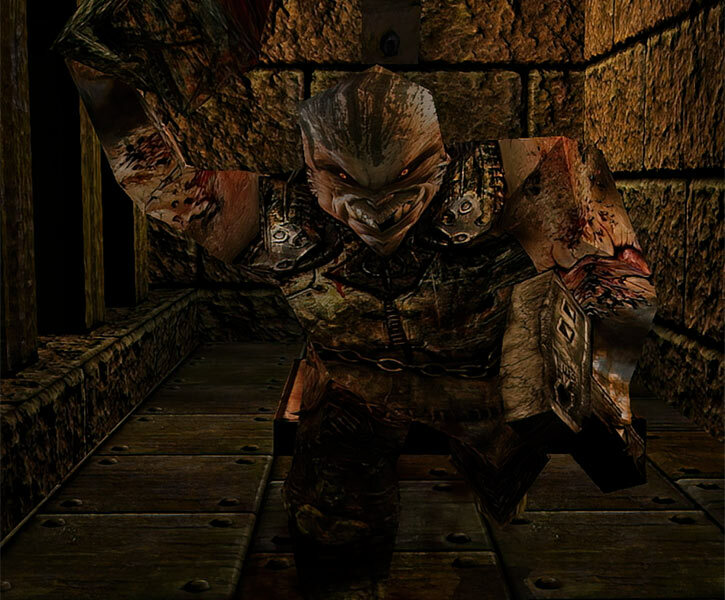 Ogres are the pathetic remnants of Neanderthals captured by Shub-Niggurath in Earth’s prehistory. 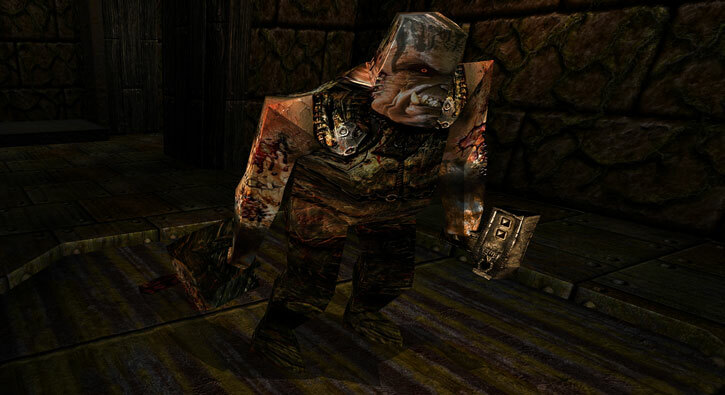 These massive thickly built brutes wear simple leather tunics over their tightly-drawn, rotting skin. Their bullet-shaped hairless heads tower over those of the other human minions. The Ogres have served Shub-Niggurath long enough to have seized more advanced weaponry from previous conquests of Shub-Niggurath. Thus each Ogre is armed with a pistol-grip grenade launcher and a huge chainsaw. 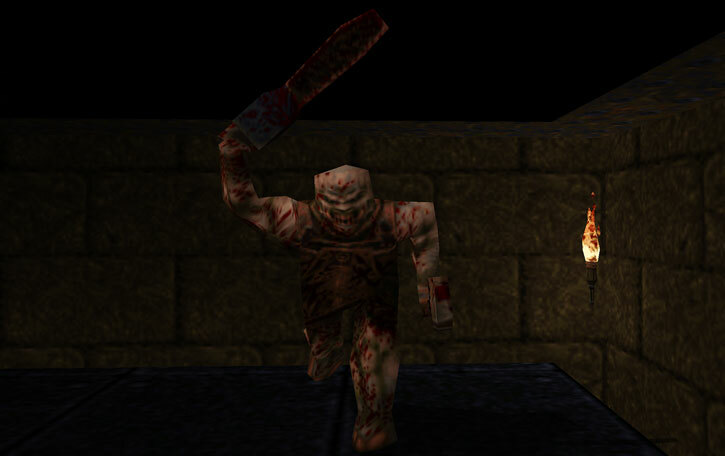 Ogres may have been inspired by Leatherface. Guard a specific location. Charge and attack any intruders. Any malevolent mystical entity could seize control of a S.T.A.R.Labs teleportation experiment. These twisted mockeries of men would be lying in wait for the hapless PCs as they made it into the invader’s home dimension. Growth is Always On and only affects weight and volume (-4). Catastrophic Rage (if hit by an attack that does not come from another creature of the same type as itself, this monster will always attack the offending creature even if it is an ally), Strange Appearance. Chainsaw [BODY 06, Claws: 07]. Grenade Launcher [BODY 04, Bomb: 07, Area Effect: 1 AP, Range: 05, Ammo: 06, R#: 03]. 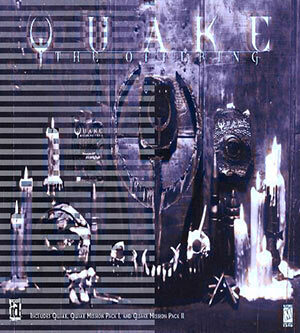 Source of Character: Quake (PC game). Helper(s): Sébastien Andrivet (DooM write-ups).